I was recently asked by the guy who's organising the con I'm running a game at if I'd like to write something about old-school RPGs for their blog. At first I wasn't sure what to write, as I'm not the great philosopher type, but then I thought I'd simply write about my own experiences with various editions of D&D, and the things I prefer about the older style. For the interest of readers of this blog, here's what I wrote! As a long-time D&D player who has returned to playing a 30 years old version of the game, I thought it would be interesting to write a bit about my experiences with the venerable game, and why I'm now so much happier to be playing a very early incarnation of it. A bit of background to my experiences with D&D: I started playing in the early 1980s, with the Basic / Expert sets. AD&D was also around at this time, and while I did buy a couple of the books I found them a bit overwhelming at that young age, and only got into AD&D when the second edition came out. I played "2e" a lot during my teens, and then gradually drifted away from roleplaying in my twenties. When I returned to the hobby several years ago, D&D 4 was the big new thing. I duly tried it out, and also tried out the 3rd edition, and Pathfinder. The games I played were fun, sure, but somehow I found that none of these versions of the game really had that spark which the older editions had. The defining factor seems to be the terseness and sparsity of the older D&D rules, especially if you look at the original version of the game (OD&D) or the basic game which was released during the late 1970s to early 1980s. They don't cover very much, and rarely go into much depth. Later versions of the game progressively filled in these gaps (whether with the minutiae of AD&D, or the systemic rationalisation and "core mechanics" of D&D 3 / 4). However the early game solved the issue of "how to determine what happens in situation X" in a very different way: make something up on the spot! Need to know if a character can jump over a pit (there's no jumping skill)? – the DM has many options: just say yes, just say no way, roll vs DEX, give a 2 in 6 chance, etc. Completely dependant on the situation at hand. There are many things about this system (or lack of system! ), which create a play experience which I personally enjoy very much. This is not a game of rules. 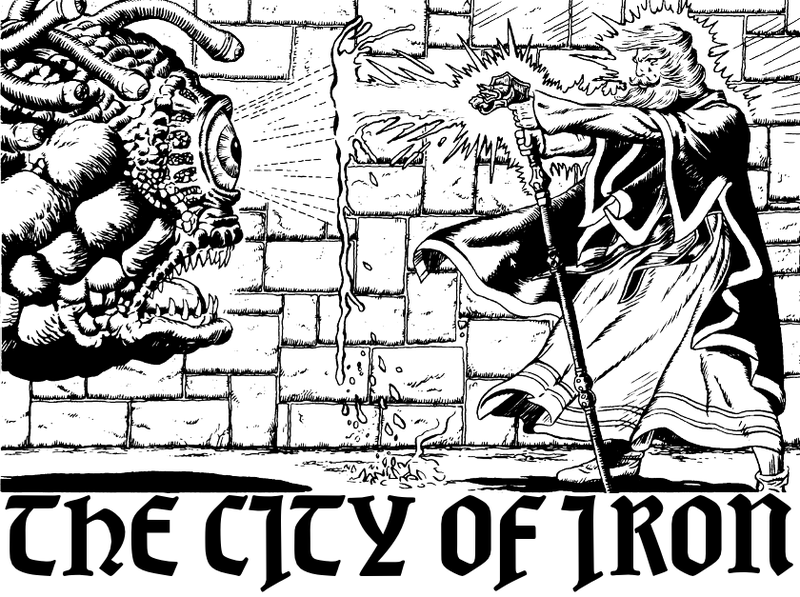 The lack of specific rules and reliance on the DM to make improvised "rulings", rather than relying on pre-defined "rules", brings home an extremely important feature of old-school RPGs: the atmosphere of the game is far more immersive and mysterious if the players are thinking in terms of being their character, rather than in terms of what they're allowed to do by the rules. That's why in AD&D, for example, the players handbook only has rules for creating characters. All the other rules of the game are in the dungeon masters guide. Growing characters vs character builds. When the procedure for character creation is as simple as: 1. roll ability scores in order, 2. choose a class, 3. buy equipment, there's no room for the mechanical tweaking which has come to be known in later editions as "character builds" (which is, I believe, something of a game in itself!). This further brings home the fact that this game is not about rules and mechanics. Your character is differentiated from others by how you play him / her, and what experiences you go through with the character in the game, not by what numbers you have written on your character sheet. In effect you're growing or "building" your character as you play. Less is more. Another effect of this lack of mechanically stated character options is that it actually in practice tends to give characters more options, flexibility and creativity. Characters are free to try things which, in more rules-strict editions of the game, they just wouldn't bother with, due to perhaps not having enough ranks in a certain skill, or not knowing a certain feat. As a result the game tends to feel a lot more open and free-form. Saying yes. The lack of specific character abilities, in terms of “skills” or “feats”, has another, perhaps surprising, side-effect: it allows the DM to simply let characters do cool stuff, when appropriate. Can my wizard read the ancient magical script of the Zagdobar people? Of course he can! (As opposed to: well, let me see, how many ranks do you have in read languages?) Can my fighter do a spinning attack and try to hit the three temple guards surrounding him? He can try for sure! – make a DEX check, and if you succeed you can make an attack roll at -2 for each of them. (As opposed to: well, let me see, isn't there a feat for that?) This point can be especially relevant where success at a certain action is important for the progression of a story. Saying no. Of course, the other side of the coin is that if a player hasn't got specific abilities written down, then the DM is equally likely to just say “no way”. Common sense generally prevails. Making the game your own. When the "official rule book" is ambiguous and vague, DMs have a chance to interpret as necessary and as they see fit. This can give each campaign a unique flavour, as rules are interpreted in different ways. So that covers, in my experience, some of the big differences in style between older and newer editions of D&D. If anyone also finds this kind of style appealing, I'll be running a Labyrinth Lord game at BurgCon 20, come and join in! Yes, I've been at it again! I like this one a lot -- simple but effective ;) It's sort of a secret code word which is meaningless and unremarkable to "those who do not know", and yet immediately recognisable and evocative to those who do. To players in my Labyrinth Lord game: feel free to read this post, but probably better not look at the dungeon itself, as your characters may well find themselves in its cruel grasp at some point. Just a quick note to alert people to the collaborative dungeon creation game which is underway at the Goblinoid Games forums. Dyson has provided one of his awesome maps for the dungeon, and the idea is for people to take it in turns to key the next free room. It's a bit like a kind of exquisite corpse for dungeon creation. It's a lot of fun. I've decided to use yesterday's idea of a Manic Miner themed dungeon for the con adventure. It shall be entitled "Beneath the Radiant Dome", which I thought sounded suitably old-school :) And with rooms called things like "Skylab Landing Bay" and "Return of the Alien Kong Beast" it's clearly going to have some kind of sci-fi influences! Somewhere from the recesses of my mind came a vision of the classic ZX Spectrum game Manic Miner. I loved playing that as a kid, even though I never got that far (I think I never progressed past The Vat... ah the good old days before games allowed you to save your progress!). One thing that especially sticks in my mind now about the game is the brilliant titles of all the levels. Spoiler warning (at the top this time ;) -- players in my Labyrinth Lord game are advised to not read the table entries. In my Labyrinth Lord game I've been allowing the use of carousing as a means of gaining additional XP (using a system based on Jeff's party like it's 999). One of the players in particular (and notably the only character who's made it to 2nd level thus far) has been making a lot of use of the carousing option, and it's worked out really well so far. I've always had in mind that another way for characters to gain extra XP by spending gold is to make sacrifices to various cosmic powers (deities, demi-gods, demons, devils, etc), the idea being that the favour of the power in question aids the character (which equates to XP). But of course, very different events can occur while gambling & boozing to those which can occur while supplicating oneself to a deity -- we need another table! Here's a few ideas to start things rolling, but any community input would be awesome! I'm hoping for a d30 table in the end, with some beneficial and some not so beneficial side-effects. By the way, I'm assuming that most cosmic powers are vain, selfish, and weird, so pretty much anything goes! 1. The cosmic power grants the character an additional blessing -- the one-off ability to cast a 1st level clerical spell. 3. The character becomes obsessed with the cosmic power, and will make an equal or greater sacrifice the next time he has sufficient funds. 4. The cosmic power sees fit to transmute the character into a more pleasing form (depends on the power's whim) for the next 1d4 sessions. Save vs polymorph to avoid. 5. The blessing is great -- gain 1d6 hit points during the next session. 6. A quest is placed upon the character. 15. Some time during the next 1d4 sessions, the character receives a visitation from an emissary of the power. If the character is a cleric of the power, the emissary will test him / her in some way. Otherwise the emissary will "suggest" that the character should swear an oath of loyalty (whatever this may imply) to the power. 16. The character awakes the next morning to find a holy symbol of the cosmic power on his or her person. 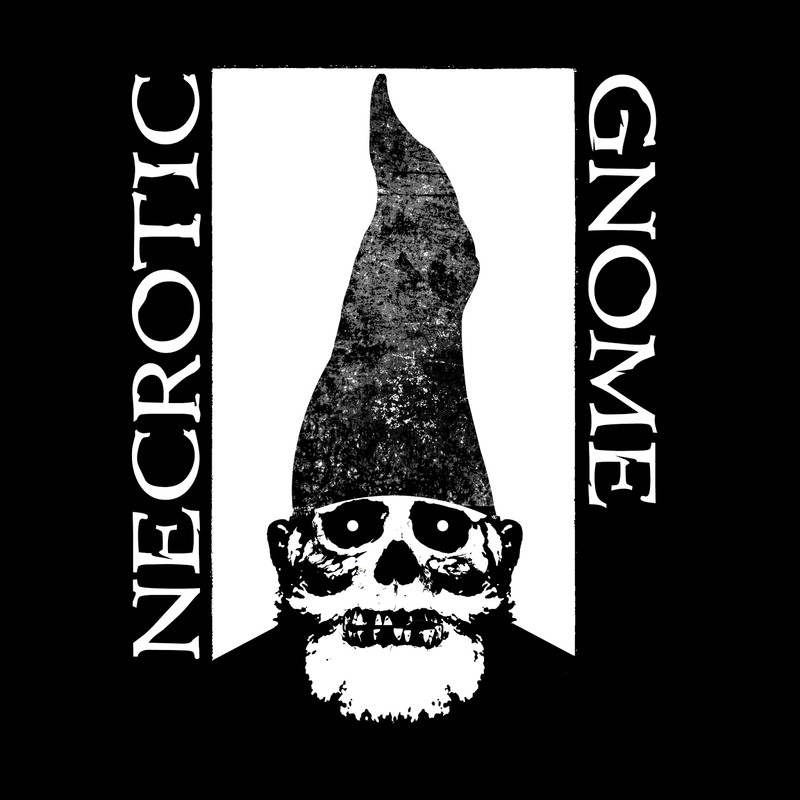 I posted some time ago about my mission of creating a bunch of old-school RPG inspired T-shirts. I've been gleefully wearing my AD&D Players Handbook T-shirt since then, but the concept kind of sputtered out after the printing place told me that the dungeon map I'd prepared for my next effort was no way printable on a T-shirt. Too many complex little twisty bits, apparently. So I could have gone back to the drawing board and re-worked something much simpler, but I was kind of disheartened and gave up. The interesting point came up that most "normal people" (i.e. non-gamers) probably have no idea what the image on the shirt is, and indeed have no concept of what a dungeon is, poor fools! Continuing the series of campaign background / flavour posts, here's a bit of information about the city of S'raka, which has been mentioned in passing, but which hasn't actually played a role in any of the game sessions so far. The halfling race of rat-people call S'raka's vaults home. The mighty city which lies at the centre of Old Aalia, home to millions, built upon the remains of a city of unknown antiquity. S'raka is a city of many layers -- from the deeps of the catacombs, to the vaults which lie at its foundation and the wretched castes of humanity who dwell there, to the bustle and filth of the lower city and the destitute ruins and slums at its perimeter, to the bourgeois plateau of the upper city, to the fastness of the noble city, carved from the solid rock of the great spire, to the level of the crystal city, which can be glimpsed glinting at the summit. And above even the crystal city, veiled in clouds, suspended on a beam of scintillating light -- the Imperial Palace. S'raka is the seat of the Imperium, and abode of the Undying Emperor of the Earth and the Seven Spheres. Two-hundred and twelve years ago, the Emperor, whose name is forbidden knowledge to those below the level of the crystal city, decreed that the Imperial capital should be moved from its previous location far in the east. The construction of the crystal city and the arrival of the Imperial Palace, descending from the heavens in a cacophony of rainbows, are facts of both history and legend. Among the many servants of the Emperor, this order of magicians are one of his most trusted and powerful instruments. Having unlocked the mysteries of light, they are masters of information and motion. Legends say that the Imperial Palace itself is held aloft by light emitted from a vast crystal controlled by the Arch-Prismists. S'raka is a city of two sides -- in addition to its famed place as capital of the Imperium, it is co-existent with a fey city of great size, import and perplexity. In fact, S'raka is the fey name for the city, which has been adopted by humans to refer to the whole. The peoples of the two cities intermingle freely, although the true depths of the fey city are unfathomable to human cartographers. The fey city appears to also be of great political importance, as exotic delegations of fey creatures are known to visit from afar to consult with the fey court and the Cold Prince who rules it. Very little is known about the Prince, aside from his name. I'm starting a little collection here... If you turn your gaze to the bottom of the "widgets" column on the right, you will see a new section entitled "European Old-School Blogs". Something I've noticed recently is that most of the blogs I read are, as far as I can gather, written by people based in the US. There's a few Canadians in there too (notably James Maliszewski), but I find myself wondering how many people writing about old-school RPGs there are in Europe. It's a pretty small list at present, but I'm sure that is due to my ignorance, rather than a lack of extant Euro old-school blogs. Further links and suggestions most welcome! I thought I'd start writing a series of posts giving snippets of background info about the world my Labyrinth Lord campaign is set in. I've not explicitly invented much background info so far, aside from a few rough maps and some daydreamed ideas, but I thought the campaign and the players would benefit from some imagery. So, first up, a new twist on an old enemy. The wide and prosperous kingdom of Aalia was remarked for its proliferation of animal deities. Indeed, the capital city of Allam, in the south of the kingdom, was known more for its vast complex of temples than it was for the royal palaces and courts from which the country was ruled. The temple complexes of Allam were aptly named -- complex. The animal gods demanded a bizarre, shifting pattern of observances, feast days and rites, including the constant and seemingly random shifting of the location of the various temples. Thus a high priest of Lax-Manna, the jackal mother, could awake one morning to the presence of his deity, and the instruction that a shifting of dominions in the spirit world meant that her nexus of power now lay in the temple of the serpent god, and that the temples must be switched with all haste. Such occurrences were common and completely unforewarned. The priests were adept in making the arrangements with the required stoicism and swiftness, but inevitably mistakes happened on occasion. One such mistake led to the downfall of the kingdom of Aalia. The feast-day of Babu-Ham, lord of pigs, fell on the fifth day after the sixth new moon of the year -- a benevolently regular date, by the standards of the animal gods of Aalia. To this day it is unknown whether the pig god himself demanded a bizarre new rearrangement of the temples on the very morn of his feast-day -- some believe, in retrospect, that a trickster god was at play. But whatever the impetus, the priesthoods of Allam were in thrown into a maelstrom of action that morning, as practically every temple in the city was decreed to be moved. The rage of the god was great. His vengeance was greater. Few had suspected the power he held, in fact, and even fewer lived to tell the story of the massacre of Allam by the cosmic forces of Babu-Ham. His wrath did not end in Allam however. An army of pig-demons swept across the whole of Aalia, burning settlements, and roasting their inhabitants on the flames, to be eaten in hideous orgies of violence and gluttony. The kingdom was crushed, and its human inhabitants reduced to a scattering of wanderers. Needless to say, Babu-Ham has never trusted humankind since that day, and the few ruined shrines devoted to him which can still be found are places of danger and fear. His final act of parting, on the day of the desolation of the last city of old Aalia, was the creation of the race of swine-folk. He decreed that pig-kind should never again be kept as slaves, and spontaneously all domesticated pigs in the kingdom were transformed into a humanoid shape, so as to be able to defend themselves from the wickedness of human beings. That was some centuries back, and the kingdom of Aalia is no more, existing now only as a name and a huge number of crumbling ruins in the great plains of its former expanse. The swine-folk have remained, however, and roam the plains of old Aalia in great numbers. Wherever they are found, humans make themselves scarce -- the animosity between the two races has not abated. And, in a twist of vengeance, the favoured food of the swine-folk is human flesh. The swine-folk are known deridingly as 'porks', by men who like to brag about their battles and encounters with the beings.